The early part of this week’s Last Week Tonight with John Oliver started off with a discussion of Vladimir Putin — otherwise known as a chance to see a bunch of Russian propaganda for the election that he, of course, won. He did apparently do a little bit of campaigning … but then also had a Russian pop group perform a song about people wanting to marry him. Basically, this entire opening segment about Putin was a sequel-of-sorts to the previous main segment on Putin and Russia from last year. If you saw that, then this is a worthy follow-up on that. It was definitely funny — albeit a little bit alarming. And now … this – Oliver loves mocking local news, and he did that here with a funny segment all about anchors completely going over-the-top for St. Patrick’s Day. Main Segment – Mike Pence. You haven’t heard too much about him as of late, but that absolutely changed with the segment tonight all about the Vice-President. This is a man who has intense beliefs on a number of different topics — including gay marriage, LGBTQ service in the military, and whether or not he actually supports gay conversation therapy. He denies that, but that may not appease some people out there. Probably the funniest part of this entire segment was seeing how Oliver kept coming back to Omarosa’s comments during Celebrity Big Brother about Pence — even if you don’t love Trump, Pence is not exactly any better. The one thing that did get praise from Oliver? Pence’s pet rabbit, who admittedly is pretty cute. Also, the rabbit has a book and a book tour to go along with this. This led to Oliver announcing the release of his own book at BetterBundoBook.com, with the proceeds going to The Trevor Project. It’s pretty brilliant, and to go along with that there’s an audio book with Jim Parsons and more involved. This may be one of the most brilliant things that Oliver and his show has ever done. 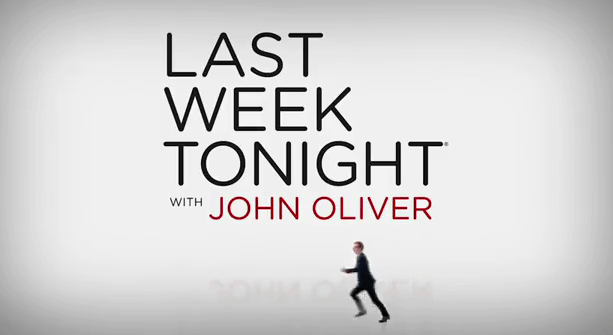 What did you think about the latest edition of Last Week Tonight? Share right now in the attached comments!